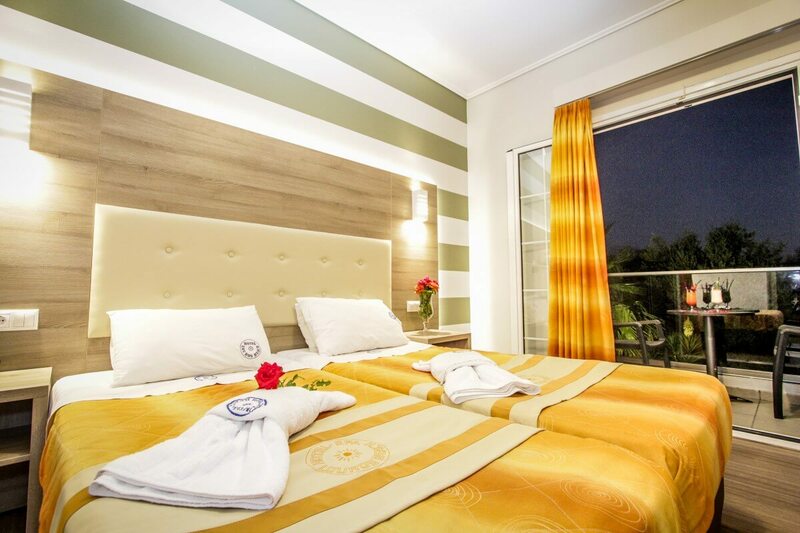 The hotel is situated in Kalamaki, where you will find one of the most beautiful beaches in Zakynthos and the Mediterranean. 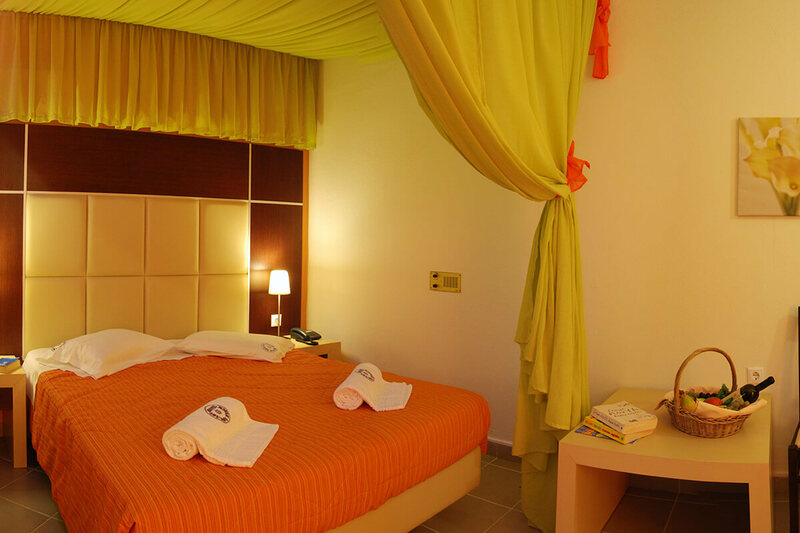 It can be a great starting point for a large number of activities as well as a relaxing paradise. 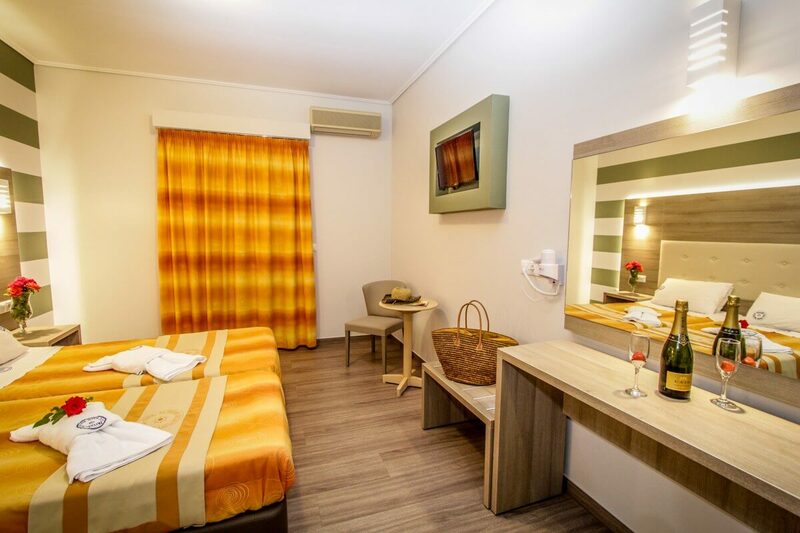 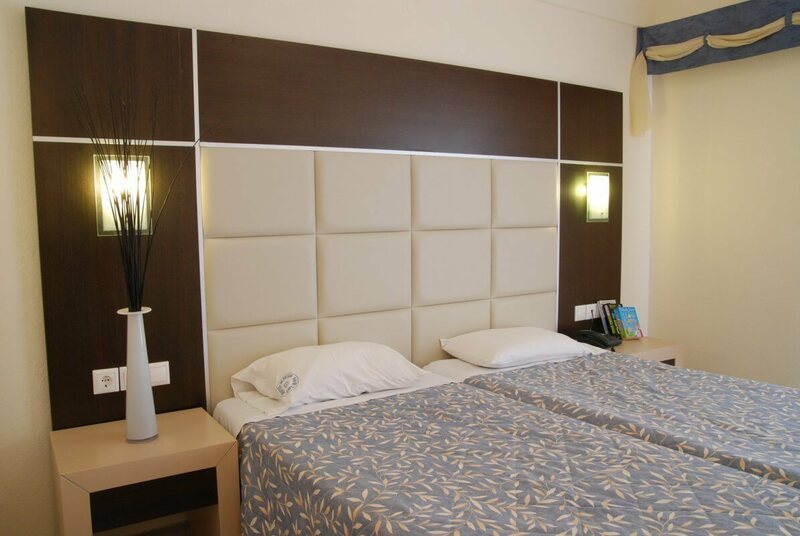 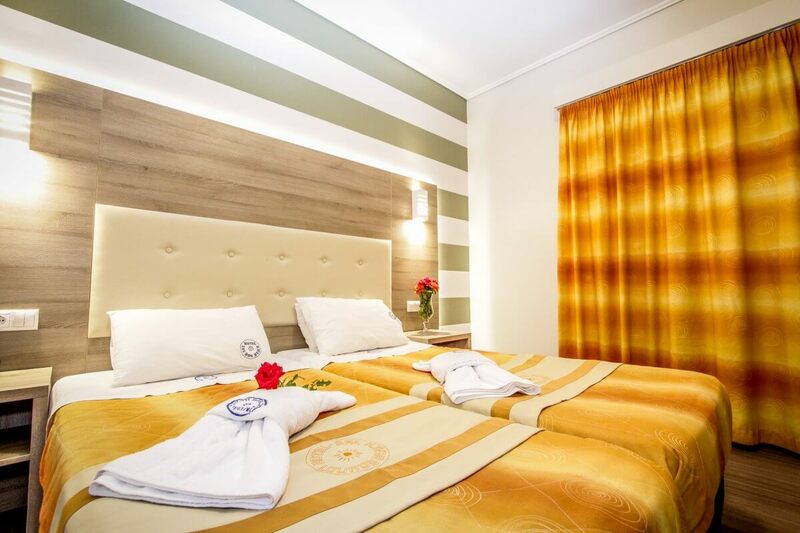 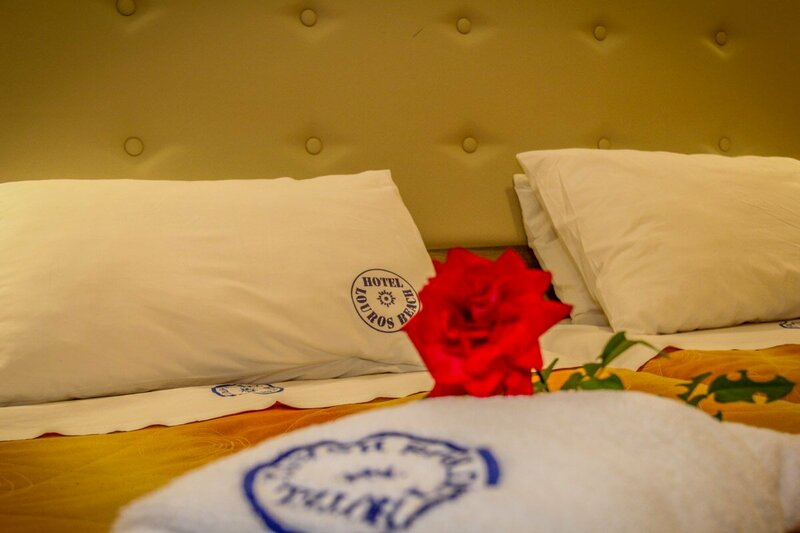 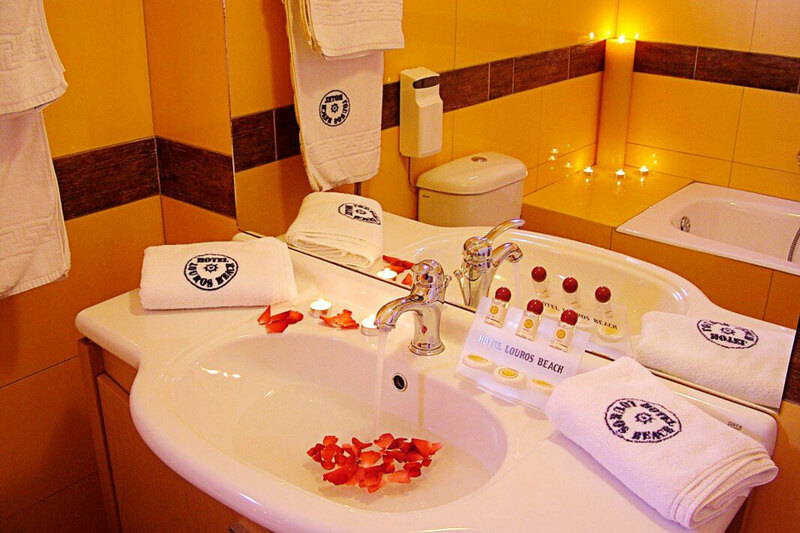 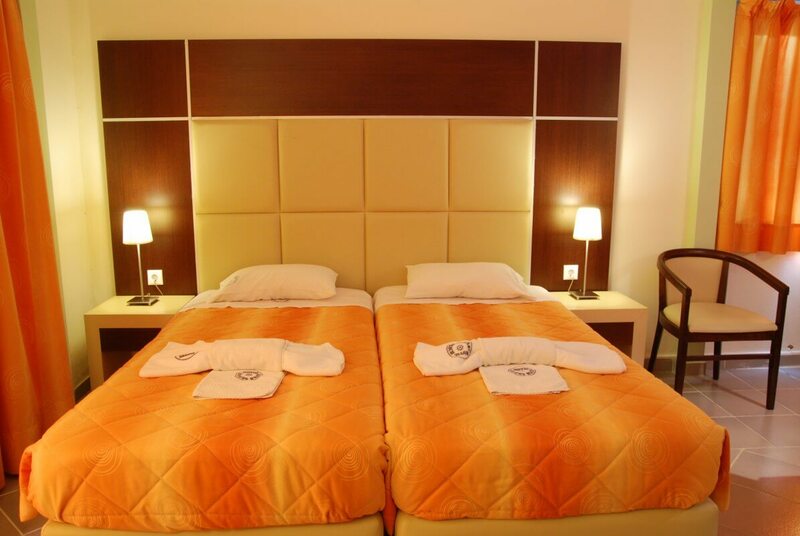 The hotel features 55 rooms, some Standard and some Suites, all spacious and elegantly furnished providing guests with many comforts and joyful holidays. 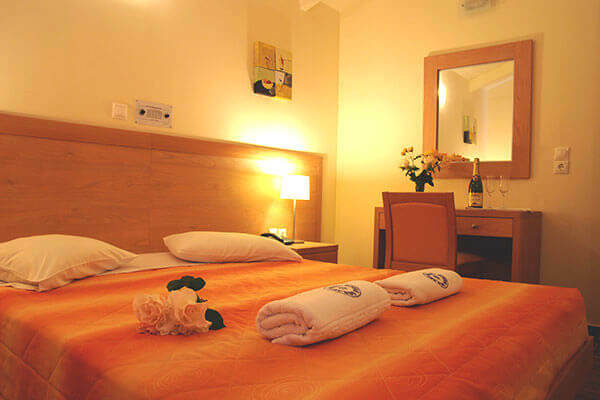 The Standard Rooms can accommodate up to 3 people and offer every possible convenience such as a telephone with direct line, air conditioning, satellite TV, music radio, refrigerator, safety deposit boxes, bathroom with bathtub or shower, hairdryer, wireless internet access (WiFi) and a balcony surrounded by bright green gardens creating a peaceful and relaxing atmosphere. 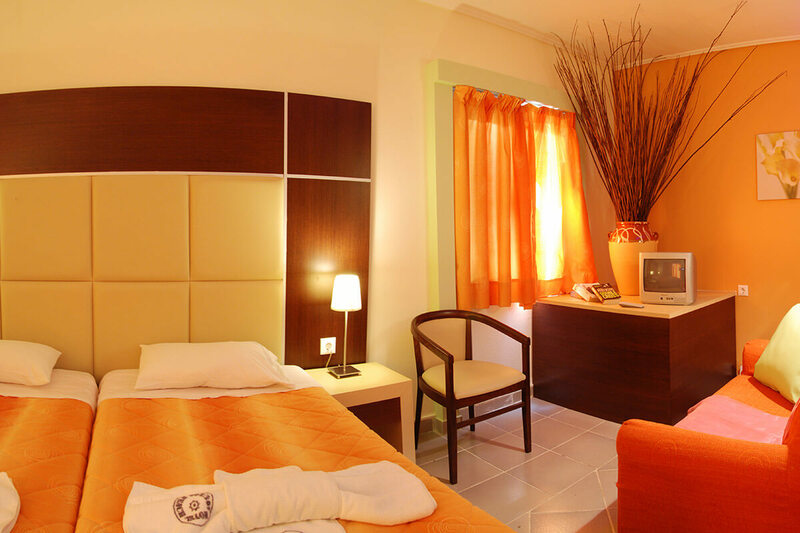 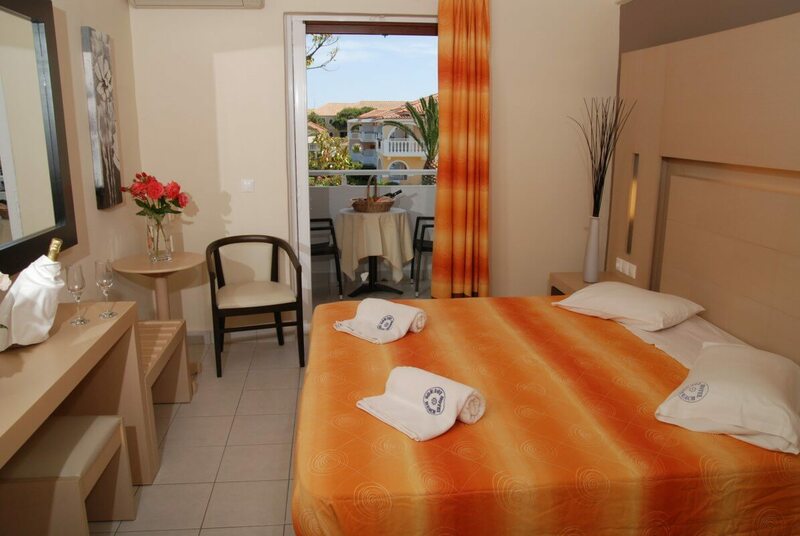 The suites comprise of one or two units and can accommodate up to 5 people. 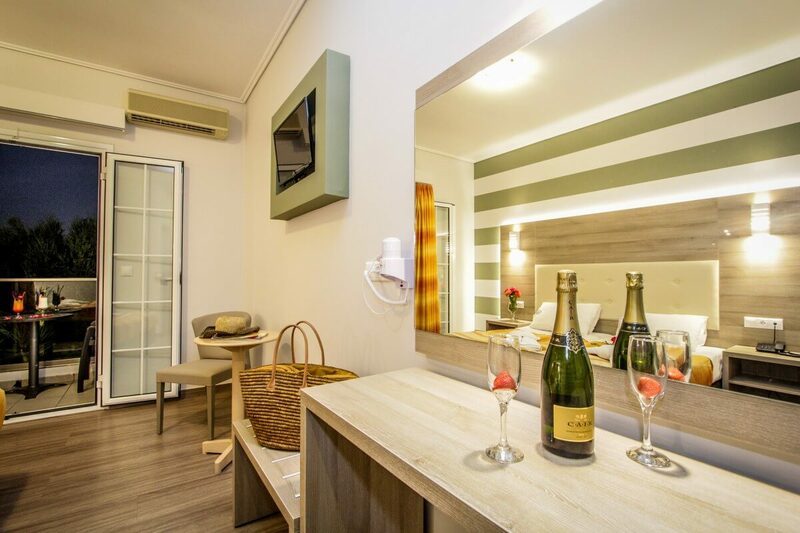 They feature a lobby, telephone with direct line, air conditioning, satellite TV, music radio, refrigerator, safety deposit boxes, bathroom with bathtub or shower, hairdryer, wireless internet access (WiFi) and a balcony surrounded by intriguing, well kept gardens.